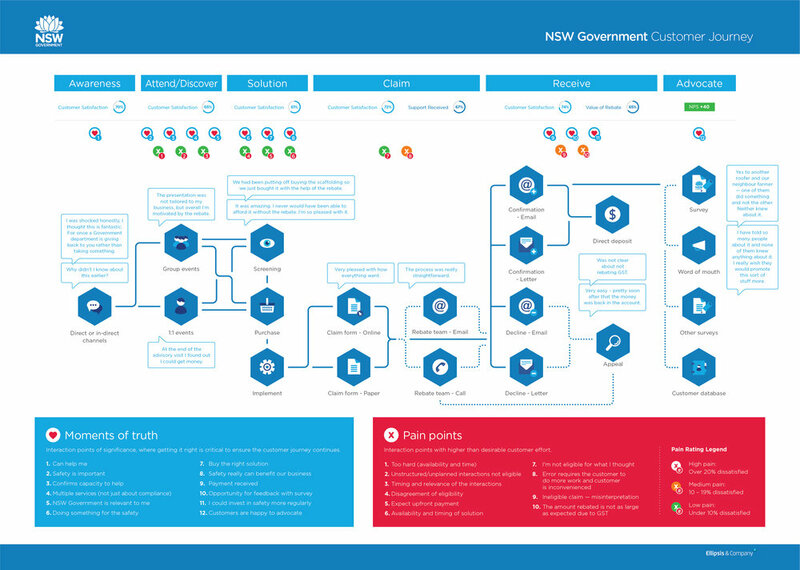 We partnered with Ellipsis to produce this Customer Journey for a department within the NSW Government. The Customer Journey is complex and needed to be broken down into a simple, easy to digest and engaging piece. "One of the biggest challenges in customer strategy is getting complex concepts and ideas conveyed in a simple, compelling and visually impressive way. Hatch are experts in using creative to sell; be it to end consumers, B2B or inside your organisation. Hatch are a very important partner for Ellipsis and our clients, I would highly recommend them if you want to work with the best."